The concept of artificial intelligence (AI) dates back centuries. But in terms of the way we understand the concept today – namely, the creation of machines that can learn and think like human beings, only more powerful – the modern phase of AI development can be traced to the 1940s and ‘50s. It was during and immediately after World War II that academics began to seriously consider the potential of using computers to solve hitherto impossible equations. In1956, the field of artificial intelligence research was founded as an academic discipline and since then, a significant investment of resource has been made by companies and governments around the world. Through the latter half of the 20th century, huge progress was made –theoretically at least – in improving our understanding of AI and how it could be used. Today, nations and businesses are competing for an edge in the race to master AI technology. And yet, despite its rich history and the huge amount of attention that has been dedicated to furthering research in the AI space, question marks remain. One must ask: is the market mature enough that organisations appreciate how AI could make a meaningful difference to their operations? And secondly, are many organisations actually adopting AI tools? The answer to both questions is no. While the interest is huge (VC investment in AI now tops $3 billion annually), in a more practical sense organisations’ understanding and use of AI is still in its infancy. 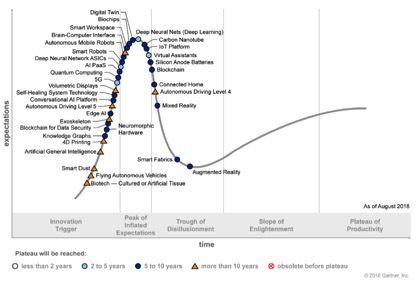 Indeed, a Gartner ‘hype cycle’ from August 2018 plots the progression of numerous elements of the broader AI market (see below). The graph illustrates that AI technologies are, in most instances, still in the early stages of innovation, which is combined with inflated expectations (or disappointed realities) of what people believe the current crop of tools will deliver. 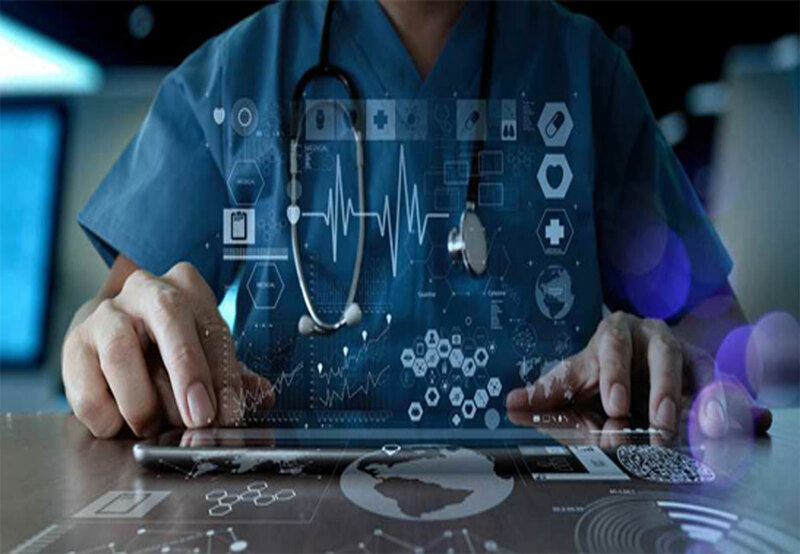 We may have been talking about AI for centuries, but the requisite computing power and software to make advances in this space are far more recent – certainly when it comes to making AI affordable and accessible enough for widespread adoption.And like any technology that has only recently become available en masse, it will take time for the market to mature – the same happened with business intelligence, cloud computing and big data. There is invariably a period of hype; the tech is positioned as a silver bullet to avast number of problems. People rush to adopt the solutions, often at inflated prices. Then comes the downward curve – also known as the trough of disillusionment – in which organisations become frustrated that the (expensive)technology has not delivered all it promised too. This cycle is partly because vendors often make claims that their tech is more sophisticated than it actually is; indeed, in the world of AI, many firms have already jumped on the bandwagon by promising ‘game changing AI solutions’, when the reality is that their tech is not nearly advanced enough to be considered worthy of the artificial intelligence moniker. We must remain patient. At Fountech, we know the AI market is still experiencing some teething issues, but these should in no way diminish the huge potential of machine learning. AI will change the world; in a small number of cases, it is already doing so. But people are understandably still struggling to see how and when –keep your eyes peeled on Fountech in the coming months and we’ll guide you out of the so-called Trough of Disillusionment and up the Slope of Enlightenment.